Acequia Jardin | Thoughtful Design. Vibrant Community. Acequia Jardin is a community inspired by both traditional New Mexican villages and close-knit “pocket neighborhoods.” Our name comes from the Spanish acequia (irrigation ditch) and jardin (garden) and was chosen because of the historic Duranes Acequia that waters our community garden. Through a combination of neighborhood design and shared values of simplicity and living in harmony with the environment, we’ve created a community of ten households that encourages interacting with neighbors and looking after each other. Home ownership includes a one-tenth share of the community garden, use of the guest casita, community room and common lands, and membership in the homeowners’ association (HOA). To manage our common property we meet every other month to make consensus-based decisions. Residents volunteer for specific tasks best suited to their inclinations and schedule. For maintenance tasks that need many hands we have occasional “work days,” often followed by a shared meal. We employ outside labor for tasks larger than our skills or abilities and expenses are paid by our monthly HOA assessment. As a resident of Acequia Jardin you are also welcome to participate in our other activities. We currently have discussion groups, community workshops, and scheduled and impromptu community meals. 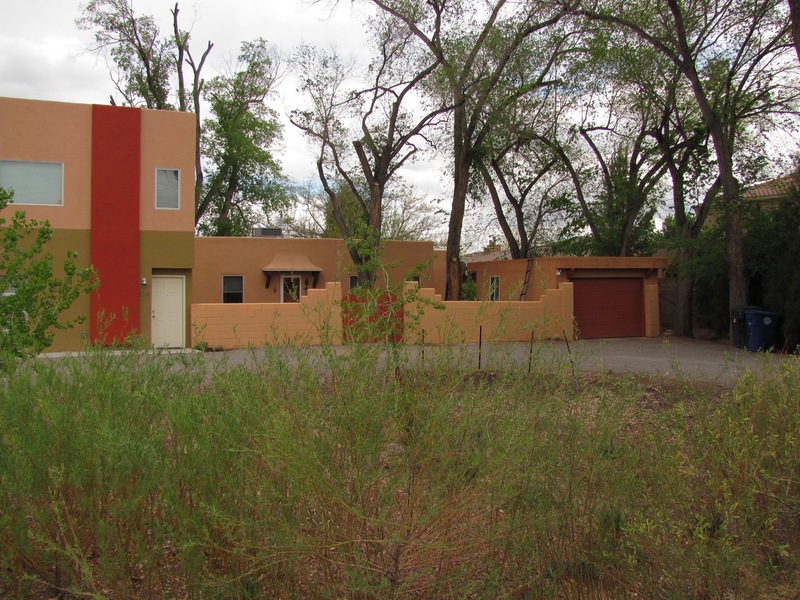 Participation in all aspects of Acequia Jardin has helped create a mindful, cooperative community. Owners are encouraged to come up with their own ideas for the common room activities, maintenance of open space, landscaping, gardening and governance. Some of our individual interests are gardening, native plants, writing, hiking, bicycling, yoga, art, theater, movies, photography, community-building and humanitarian activities, and enjoying the diversity of our friendships. Since 2009, a local home designer and a real estate broker friend had a vision of creating homes in which friends, family and community could live comfortably and vitally as they get older and are less eager and able to take care of a large home and yard. They intuitively knew and learned through research that those who age in community live longer, more connected, more enjoyable lives. They also observed that many of the options for smaller homes and living environments for downsizers and those entering retirement are institutional, unimaginative and way out in the suburbs. Working with an inspired community of people and a talented architect, they created a vibrant village of small homes, close together and close to services and activities. The homes were thoughtfully designed with shared amenities to create a less complex lifestyle.